The Royal Burgh of Dornoch Cathedral, Castle, Jail and Court House form the backdrop for the start of our 6th tour. 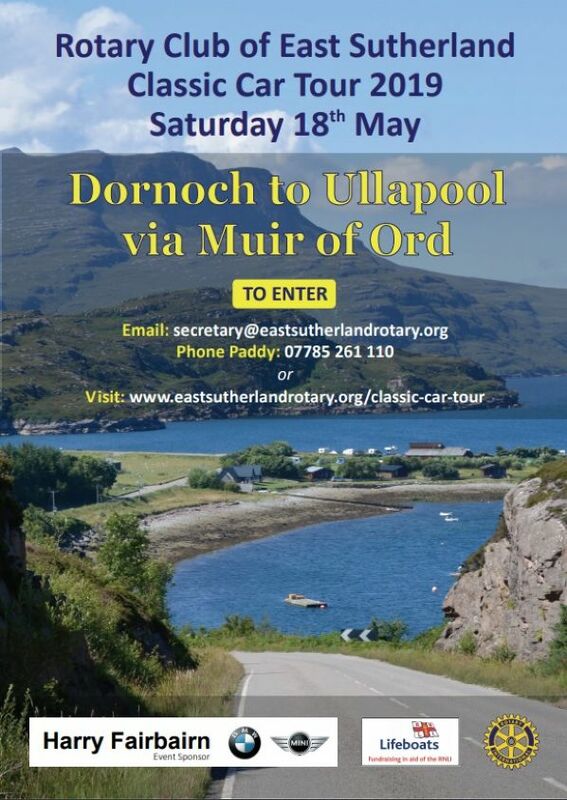 The circular route from Dornoch to Ullapool via Muir of Ord takes in the majestic scenery of the west coast. A traditional Highland Ceilidh rounds off the day. 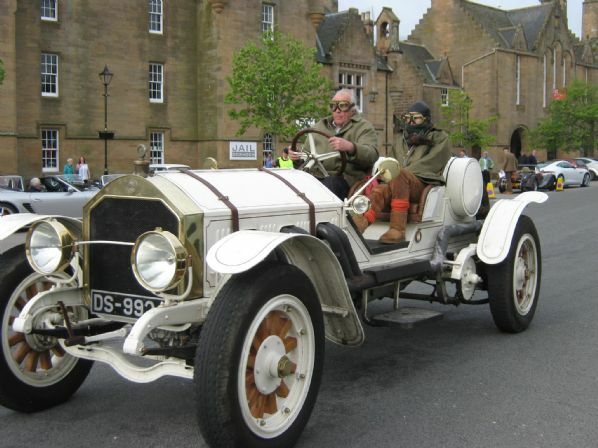 East Sutherland Rotary held a “first” for the club: a cross-Sutherland car tour for vintage vehicles as a fundraiser for RNLI and Rotary charities. 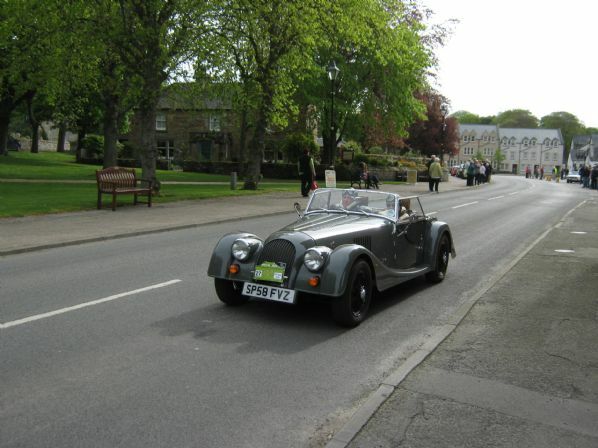 The event took place on Saturday 17th May 2014, and attracts entrants from across Scotland - and the one above from Sussex! 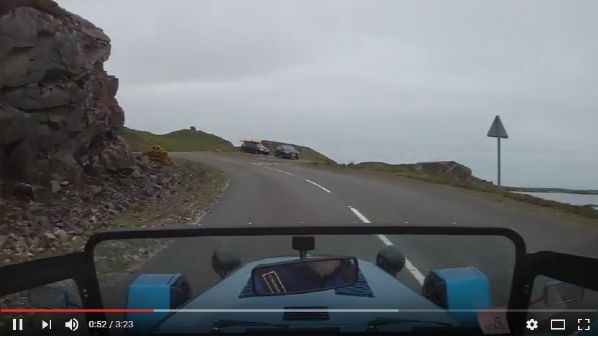 Cars travelled in a circular 170-mile route from Dornoch to Lochinver and back, calling at points of interest on the way. Entrants make a charity donation for the right to take part, and there were various prizes on offer – although it is stressed that this is NOT a race.